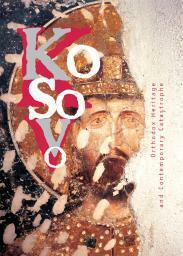 This book was called to life by the events of 17-19 March 2004 when, in the course of three days, 35 Christian churches were fully destroyed or disfigured in the Serbian territory of Kosovo and Metohija. In 1999 in this region, according to the maximally complete and clarified list as it exists today, a total of 143 churches and monasteries of the Serbian Orthodox Church were subjected to destruction. We are speaking of the worst cultural catastrophe in Europe since World War II — a catastrophe that happened in the "peaceful" period while the area was under UN administration and the protection of NATO battalions. Выходные данные:Indrik Publishers, 2007. — 348 p., ill.